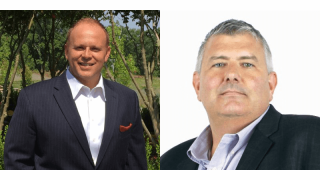 Whitlock has added two new regional directors: Felix Lopez will direct the Carolinas and Tennessee regions, and Justin Shong will manage the California region. Lopez’s primary directives are to cultivate talent, build strong business partnerships, and drive overall service excellence. He brings 17 years of sales and operational experience to Whitlock, primarily in unified communications and telecom. In this position, he oversees all business activities in the region, including business development, relationship management, financial, operational, and administrative duties. He previously held strategic positions with MetLife, Cisco, and BT. Justin ShongShong, a 25-year tenured technology executive, brings decades of industry experience and global customer and partner relationships to Whitlock. Similar to Lopez, Shong oversees all business activities for Whitlock in region, including business development, relationship management, financial, operational, and administrative duties. Throughout his career, Shong has led top-ranking teams for OCZ Technologies, Acer Americas, Vidyo, Silicon Graphics, Synnex, and Avnet. He holds an MBA in finance from Santa Clara University. Both will report to Jack Steinhauer, EVP.